Pick-up at the International Airport and transfer to Central Pacific. Spend the afternoon on your own to relax in the facilities of the hotel. Breakfast at your hotel. Enjoy the Hotel amenities and facilities. If you purchased the optional activities package, your morning will include a visit to one of Costa Rica’s most renowned National Parks – Manuel Antonio – where after a one hour hike to the beach, you can relax on the beach for two hours. We will then leave the park for an appetizing lunch. Breakfast at your hotel. Transfer to the Arenal Volcano, en route you will have the opportunity to see some of the most picturesque lanscapes of the country. 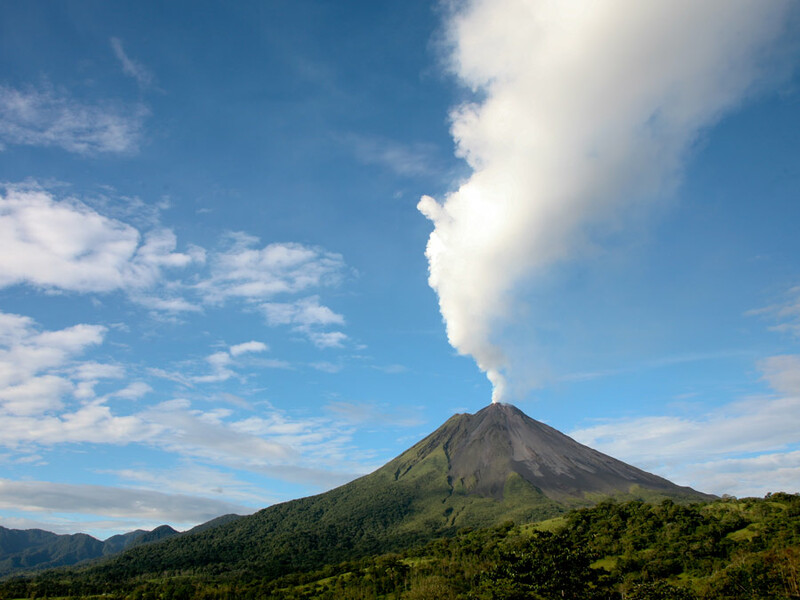 If you purchased the optional activities package, the afternoon will include a trek to the Arenal Volcano and a visit to the Thermal Waters at Tabacón Resort with dinner included. Breakfast at your hotel. Enjoy the hotel facilities and amenities. If you purchased the optional activities package, your morning will include a Canopy tour.Admire the beauty surrounding the Arenal Volcano and the subsequent descent of 2.8 kilometers amid the best canopy tour facilities in the country. Transfer to your selected hotel in San Jose. Spend rest of the day on your own to enjoy the Hotel amenities. Breakfast at your hotel. at the prearranged time, we will transfer you to the International Airport in enough time to board your return flight home. Light clothing, jacket or sweater, bathing suit, sun block, insect repellent, comfortable shoes, sandals, camera, raincoat.